Factory Racing-inspired models now available for pre-order across Australia. 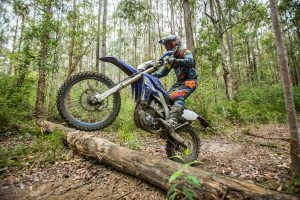 Gas Gas Australia has unveiled its new 2018 Enduro GP 300 and 250 two-stroke models, boasting what is arguably the highest specification European enduro two-stroke models ever offered to the public. Inspired by the manufacturer’s factory world championship race bikes, Gas Gas is setting a new benchmark as it incorporates a long list of new specifications and components, whilst showing off a new look. Both models share ‘Factory Racing’ characteristics both inside and outside, including a high-performance engine that receives a new cylinder head for 2018 to achieve greater power delivery for the most demanding riders. The new Gas Gas Enduro GP has a new clutch cover and basket from Rekluse for an increased efficiency and cooling performance. The exclusiveness of this model is evident in its smallest details, from a visual level through to it incredible sound, thanks to the FMF exhaust especially engineered for the Gas Gas range. 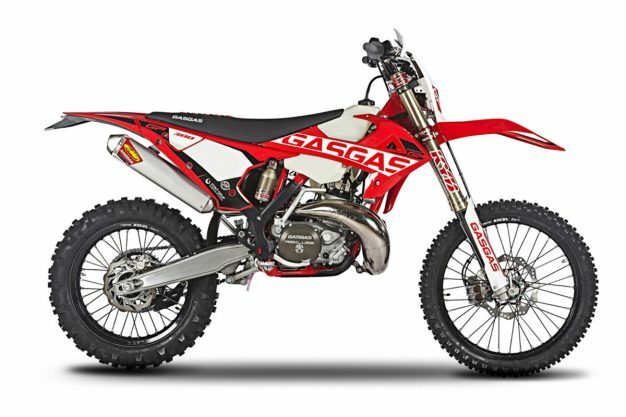 To stay true as an authentic high-end competition bike, Gas Gas has included an endless number of components from the new ‘Factory Racing’ product line, which was recently introduced by Gas Gas. The Kayaba twin chamber forks are a symbol of the brand’s new generation of enduro, introducing a special edition anti-friction treatment in black DLC coating, guaranteeing a boost in performance and to give even more confidence for the rider adapting to any terrain. A greater steering sensitivity, grip, lightness and comfort on the front-end has been achieved with the help of new red anodized and machined X-Trig triple clamps, machined handlebar clamps, new grips and a sturdy Renthal 997 handlebar. In addition to the long list of new features added to the front-end is a new axle puller for easier wheel removal and a floating front disc to improve feel and increase braking power. The striking appearance of the GP reflects the 100-percent ‘Factory Racing’ spirit of the new 2018 models, with the spectacular design of its new plastics and graphics a faithful replica of its GP motorcycles. The new Enduro GP adopts the colour black for its spokes and on its anodized aluminium rear sprocket, highlighting its competition aesthetics which is completed with a new racing gripper seat, the same used by the Gas Gas riders in the world championship, offering greater grip and safety. – Kayaba ‘Factory Racing’ twin chamber forks incorporating a new black anti-friction treatment DLC coating. – Cylinder head with a new combustion chamber for greater torque and more precise response for the most demanding riders. 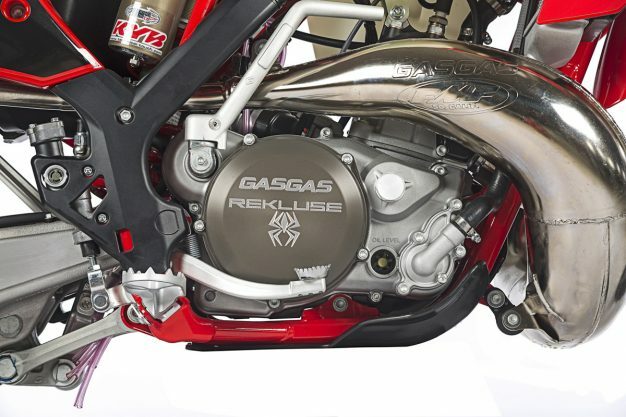 – Rekluse clutch cover and housing for increased efficiency, cooling and strength. – X-Trig machined red anodized triple clamps. – Complete FMF exhaust system. 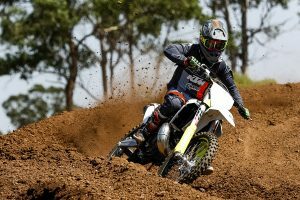 – Renthal 997 handlebar and Renthal grips give greater feel and comfort to the rider. – New machined handlebar clamps give a greater firmness and strength to the handlebar mounting system. – Front wheel axle handle for quicker and easier removal. – Floating front brake disc for increased performance and improved front brake feel. – EnduroGP seat for extra grip – exclusive factory racing team colour scheme. – Exclusive EnduroGP red plastics and graphics. – Black anodized aluminium rear sprocket. 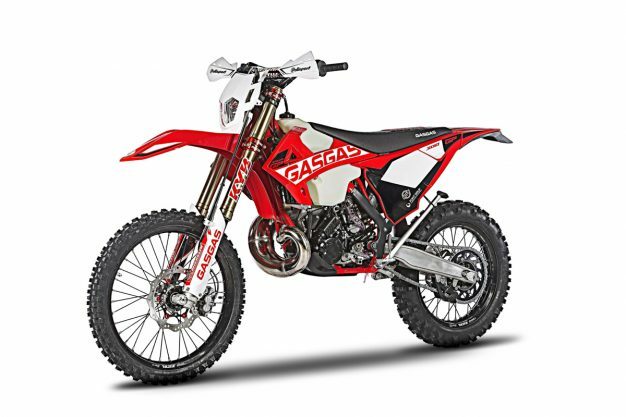 The Enduro GP 250 is priced at RRP $12,990, while the Enduro GP 300 model comes in at a RRP of $13,490. Both models are currently available for pre-order. 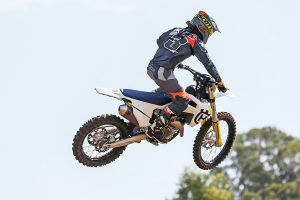 For more information, visit www.gasgasmotorcycles.com.au.